I was one of the first people to achieve the Adwords Qualified Individual status shortly after the Google Adwords certification program was launched in 2005. 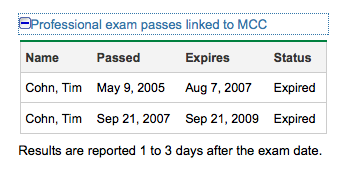 When the program first came out, there weren’t any ongoing testing and certification requirements. AdWords has changed a lot since 2005 let alone since March 5, 2002 when I opened my first Adwords account! For example, I don’t think Google had even initiated advertising on the “Content Network” now known as the Google Display Network when I was first certified in 2005. 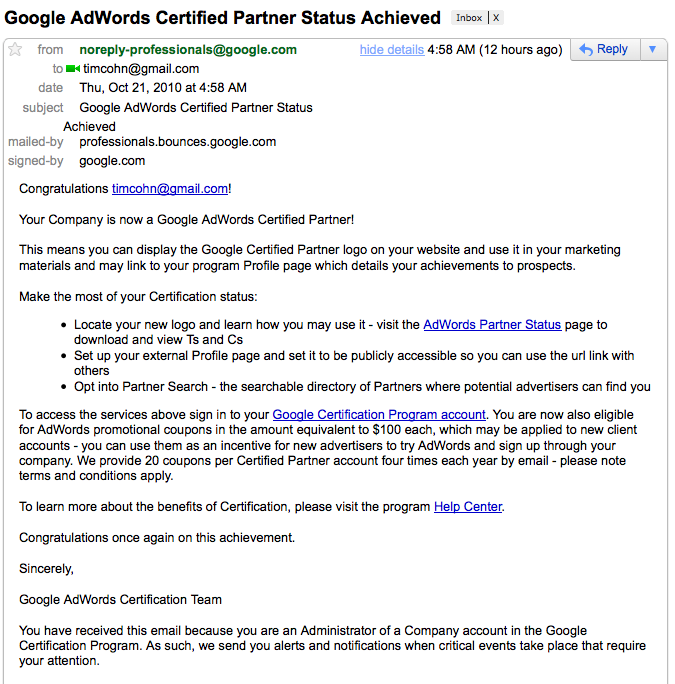 I am glad to have once again achieved Google AdWords Certified Partner Status. This entry was posted on October 21, 2010 at 4:23 pm and is filed under Google AdWords Certified Partner Status Achieved, Search Marketing. You can follow any responses to this entry through the RSS 2.0 feed. You can leave a response, or trackback from your own site.